Ammonium nitrate/fuel oil (ANFO) explosive vehicle is the most common equipment in the mining machinery. The pharmaceutical system is the most important system of the whole mechanical system, its performance and reliability determine the reliability of the whole system. However, there is little literature on reliability analysis of ANFO explosive vehicle. In this paper, ANFO explosive vehicle pharmaceutical system is regarded as the research object. The pharmaceutical system presents complex dynamic characteristics. The electronic control subsystem, for example, contains function dependency gate, and the sensitizer system includes warm spare parts. 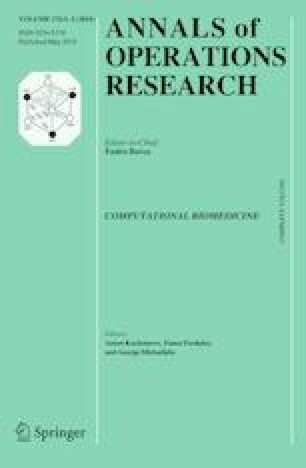 In this paper, the related theories and methods of dynamic fault tree and Bayesian network were applied to the reliability research of the pharmaceutical system. By analyzing the principle of the system, dynamic fault tree model was established. By mapping relation, it was transformed into Bayesian network. The marginal probability distribution and the conditional probability distribution of each node are determined, and the prior probabilities and the posterior probabilities of the pharmaceutical system are obtained. Compared with the results of Markov’s analysis, there are some deviations between them. According to the sequencing result of the influence degree of parts on the reliability, the fuel flow-meter, oil filter element, sensitizer flow-meter, line interface, and oil pipe are the weak links of the pharmaceutical system. They can be regarded as important objects of system improvement, fault maintenance and health management. The sensitizer system is the most reliable subsystem of the pharmaceutical system. Because of the existence of spare part logic in this subsystem, it has the least influence on the pharmaceutical system. In addition, it is necessary to reduce the impact of the operating environment in the reliability analysis of similar systems. The result can improve maintenance efficiency and provide theoretical support for the system improvement. This work was partially supported by the National Natural Science Foundation of China under the contract number 71761030 and the Graduate Teaching Program of Inner Mongolia University of Technology under the contract number YJG2017013.